Hey everyone so here are a few Christmas cards I made this year. I'm probably a little late to post these but I thought I'd post them before the new year came around! 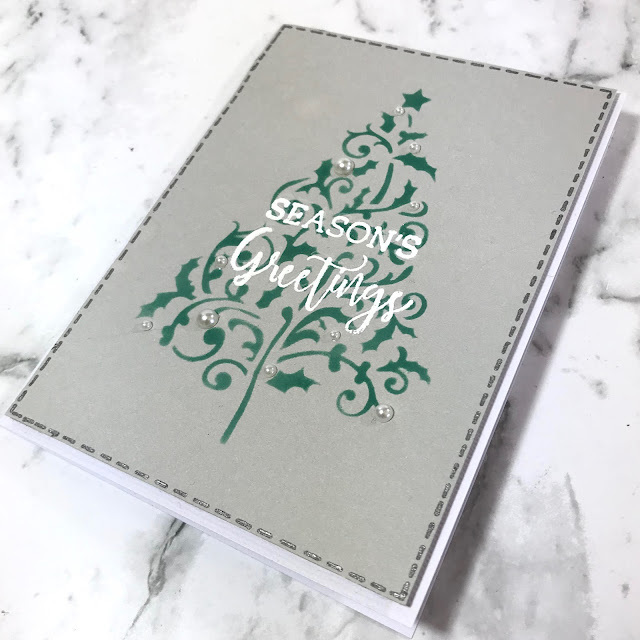 I used white weave cardstock to create 4 x 5.5 inch notecard for the base of the card. Then I cut some water colour paper to 4 x 5.5 inches and temporarily adhered it to my silicon cutting mat. 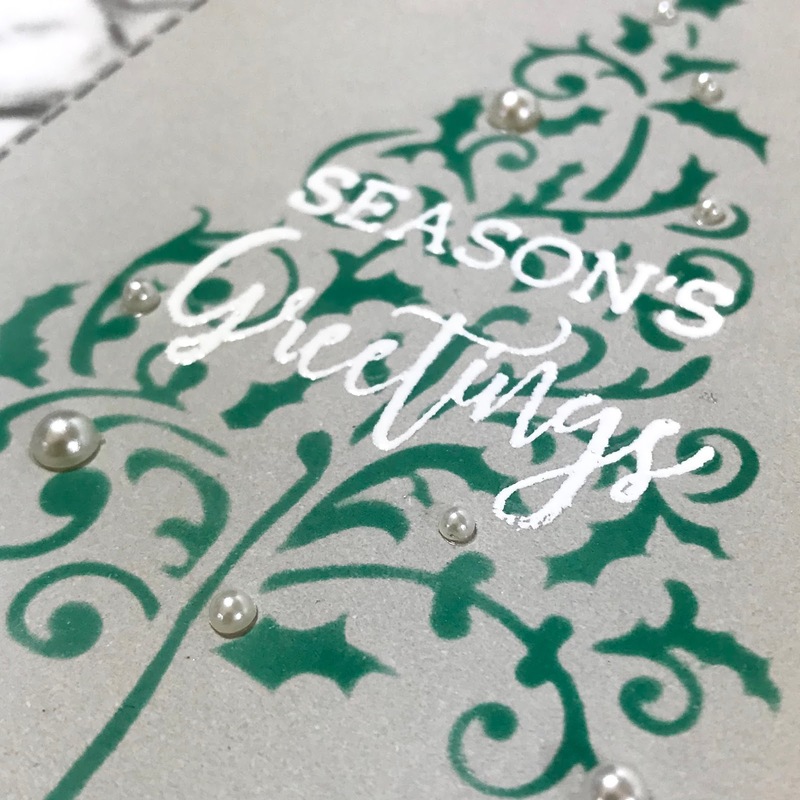 I stamped some snowflakes and a Christmas sentiment using versamark ink. Then I added some white embossing powder and heat set the powder. Once it had dried I use some blue and grey shimmer mists mixed with some water to create the background. I started with the lightest shade, dried it with a heat gun and then added the next colour. I made sure to add the darkest shades of blue around the snowflakes and sentiment so they would stand out. I used white weave cardstock to create 4 x 5.5 inch notecard for the base of the card. Then I cut some grey cardstock to 3.75 x 5.25 inches and temporarily adhered a Christmas tree template to it. 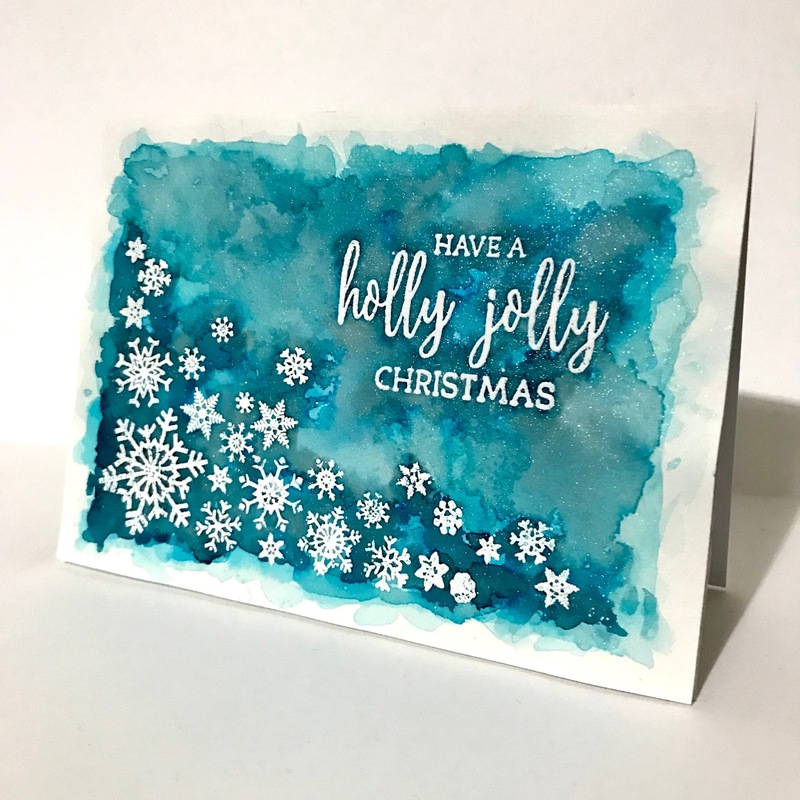 Using distress ink I blended the colour in the template. Once the ink had dried I used some versamark ink to stamp a sentiment, added some white embossing powder and heat set it. I adhered the grey cardstock panel to the white card base using some foam tape. To finish I added some white pearls to look like Christmas baubles. Happy crafting and have a Happy New Year!